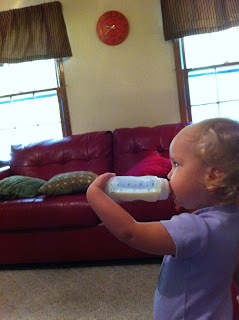 As the baby just climbed over the barrier from the living room to shout BOTTLE ! at me in the kitchen. 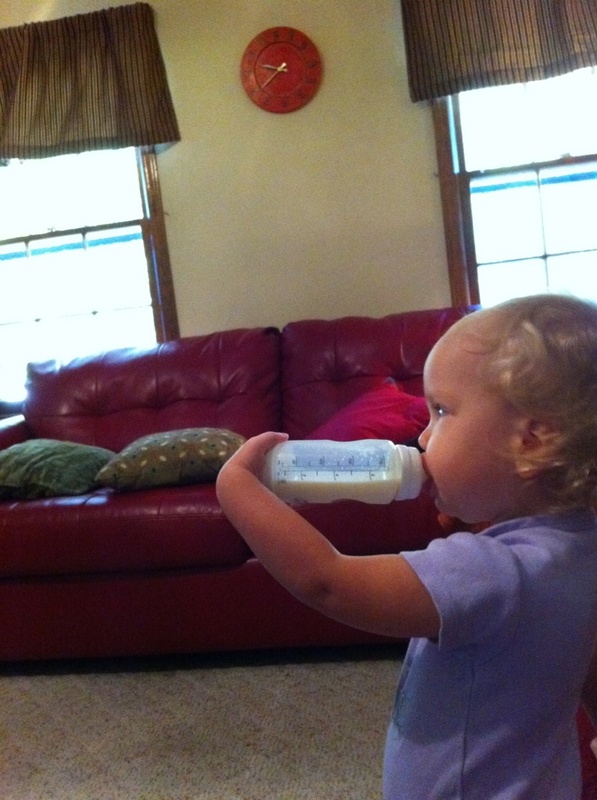 I wonder where she gets it?